What happens when the naiveté of a political rookie clashes with the realities of racial politics of the American South and ultra-partisan struggles in Washington DC? 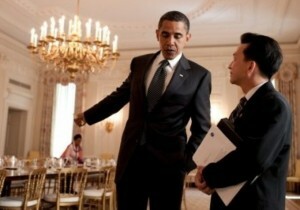 MR. CAO GOES TO WASHINGTON follows the unexpected journey of Rep. Joseph Cao–the first Vietnamese American elected to the US Congress, the only non-white House Republican of the 111th Congress, and the only Republican to vote for President Obama’s Health Care Reform Bill. Will Cao keep his integrity and idealism intact? A former seminarian and lawyer, from the Versailles neighborhood in New Orleans, Anh “Joseph” Cao decided to join the public sector to do greater good. Cao has an appealing combination of earnest naiveté, integrity, and passion when he enters the political arena. While on the House floor, Cao speaks frequently about overcoming partisan and racial differences. 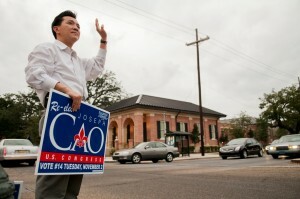 During his tenure, Joseph Cao begins to build a record as the most liberal Republican in the House, angering fellow Republicans by befriending President Obama, insisting that his voting record is based solely on personal principle and the needs of his district. Yet later, he alienates the President by voting with the Republicans against Health Care Reform, citing inadequate language to prevent funding for abortion. And then when Cao’s re-election campaign gains momentum, he is again haunted by partisan politics and we bear witness as Cao must come to terms with the temporal nature of friendships in congressional politics. Is bipartisanship a worthy cause for this Rookie Congressman? 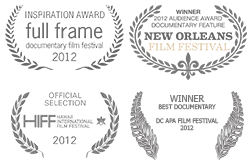 MR. CAO GOES TO WASHINGTON is an engaging portrait of a complex individual navigating the fascinating, high stakes world of electoral politics, New Orleans style.